Flags are highly effective advertising tools for reaching potential customers. 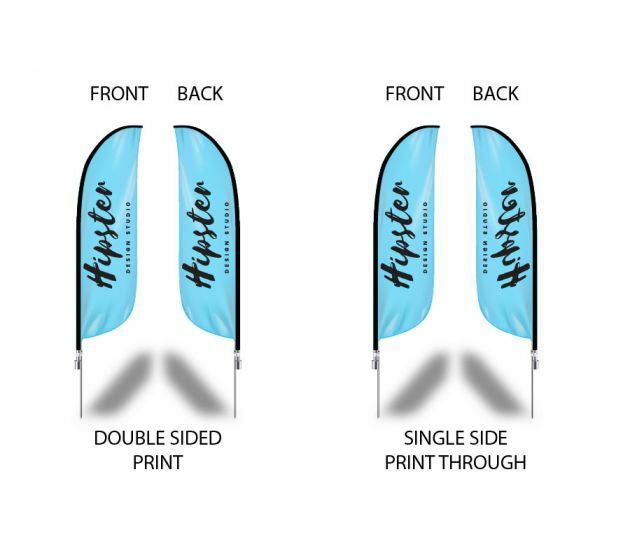 This handy swooper flag pole kit takes that concept a step further. Unlike traditional flags, you can count on your message being seen whether it’s windy or not. 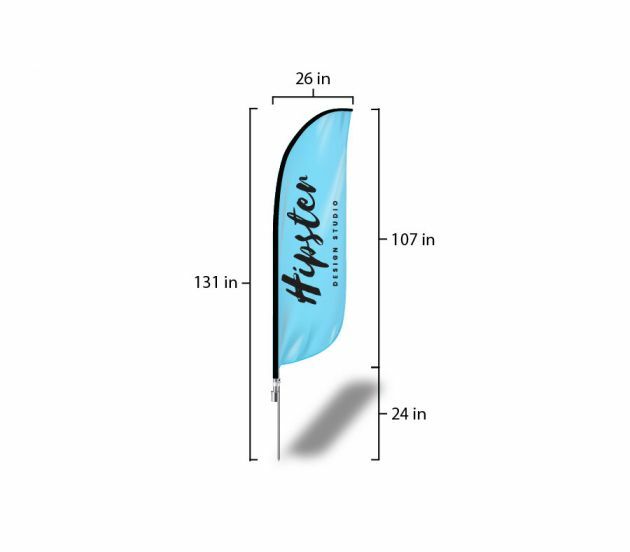 Setting up this swooper flag is fast and easy, and you can change the replaceable fabric skins any time. Use this flag for trade shows, auto dealerships, retail stores, and any other indoor or outdoor event. We’re the print fulfillment company that will always go the extra mile for our customers. If you have any questions about this swooper flag pole kit, or if you have any special requests, just give us a call. Our goal is to provide an exceptional experience every step of the way. That’s why we offer the fastest turnaround times, lowest prices, and best guarantees. 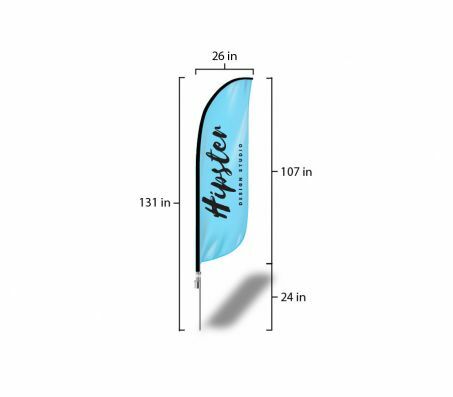 This is a great deal on a portable, dependable swooper flag pole kit. For further information, call (702) 754-6360, or email us at info@777sign.com. The advertising materials you use can really make or break your business, so stick with the professionals. Order top-quality banners, flags, signs, and more at 777 Sign today. Accepted File Formats: .TIF, .TIFF, .EPS, .AI, .PSD, .JPG, .PNG & .PDF.